Geralt lost the power of his five signs. 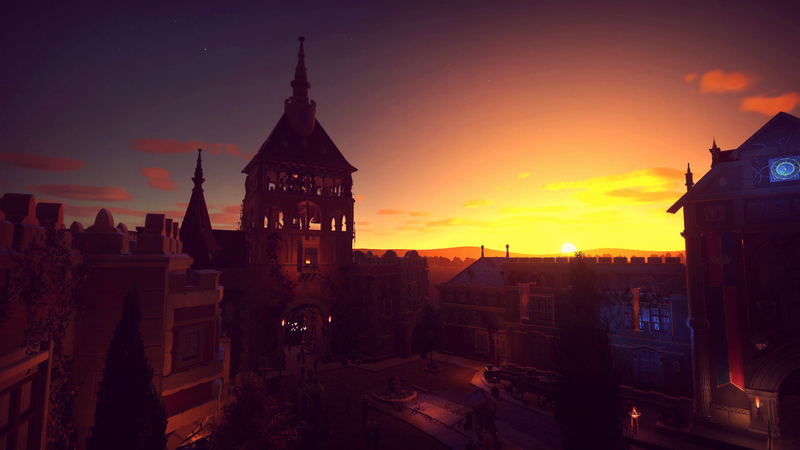 He started to recover his signs in Beauclair. 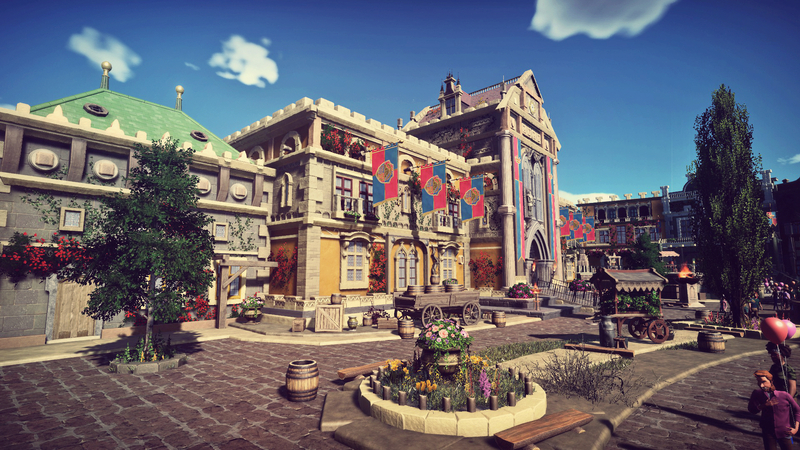 The big town square of Beauclair is located in Gametropolis themepark. It´s the second area of this park. 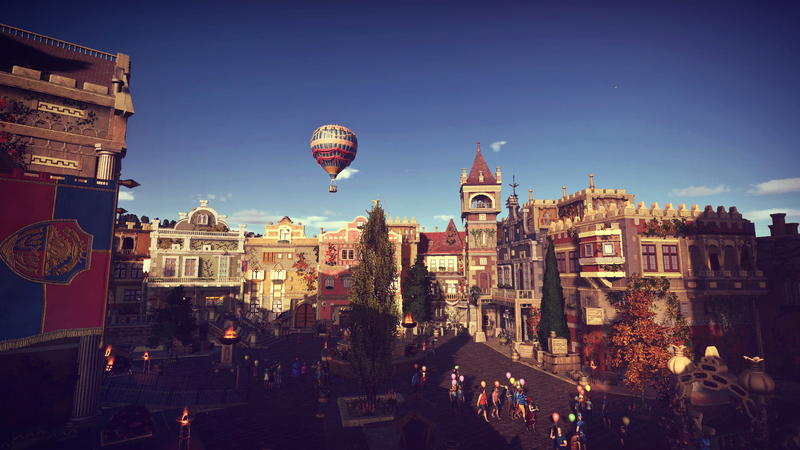 You are going to see more of the town square in the following updates. Oh, wow this looks fantastic!!! The first picture blows me away - amazing details! Such gorgeous screenshots. The architecture is incredible. 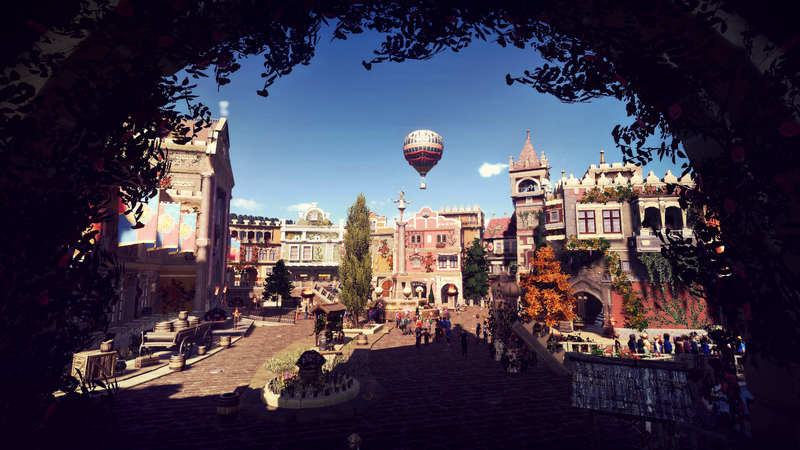 And being a big fan of the Witcher games, makes me really look forward to seeing this project continue. (btw, you might want to fix the title and change "sings" to signs". 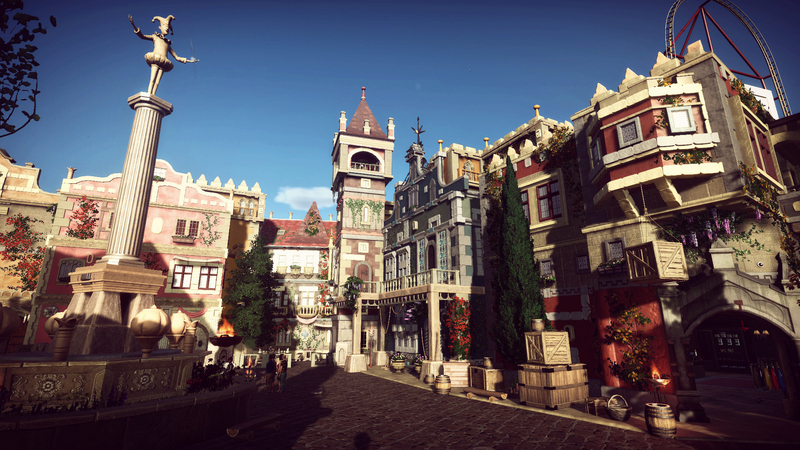 The first shot reminds me on the old RCT projects by Leonidas...absolutley incredible details and amazing architecture. 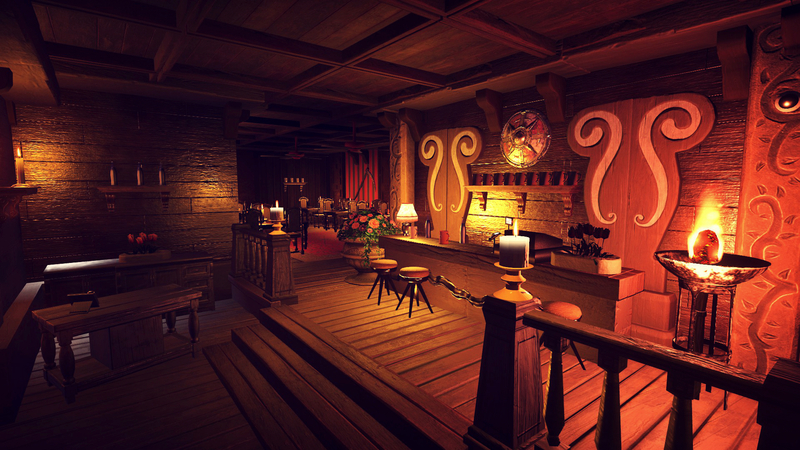 The color scheme is very beautiful as well and you´ve captured a great atmosphere. I love the ballon in the background. It fit´s perfectly into the scene. 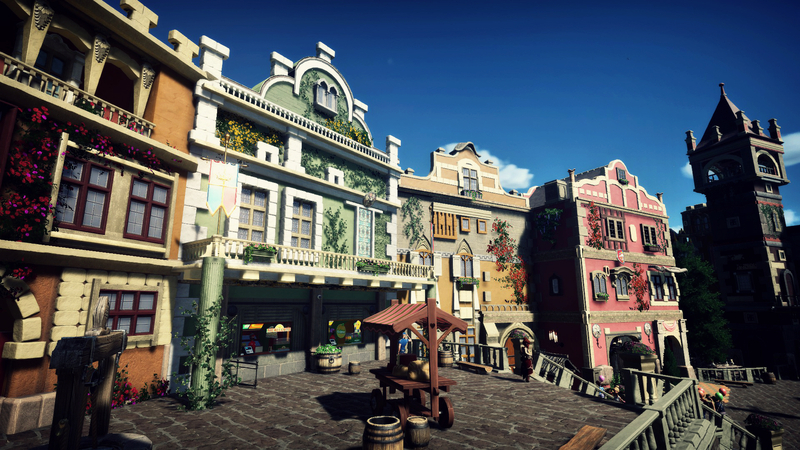 Like Nemmie Said: " Hurry up with the next update"
Beauclair town square is a vivid and lovely place. 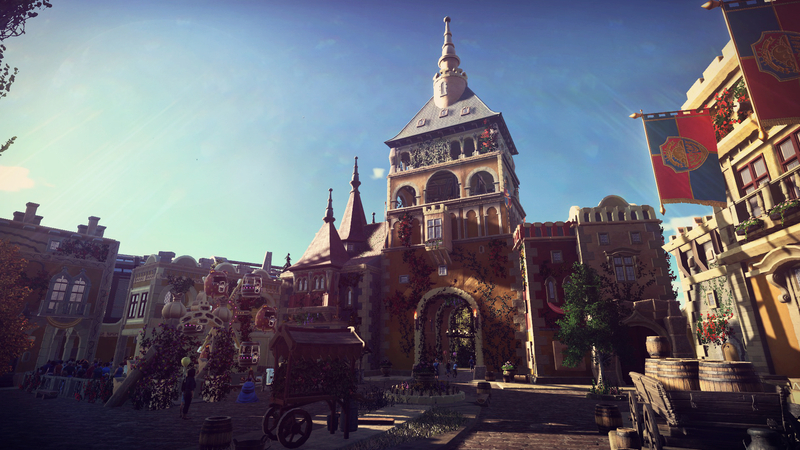 You can visit a little kiddie ride, eat in the Beauclair restaurant, buy some beautiful things in Beauclair shop, enter the castle for a breathtaking e-ticket ride or just relax. There are so many places to discover. 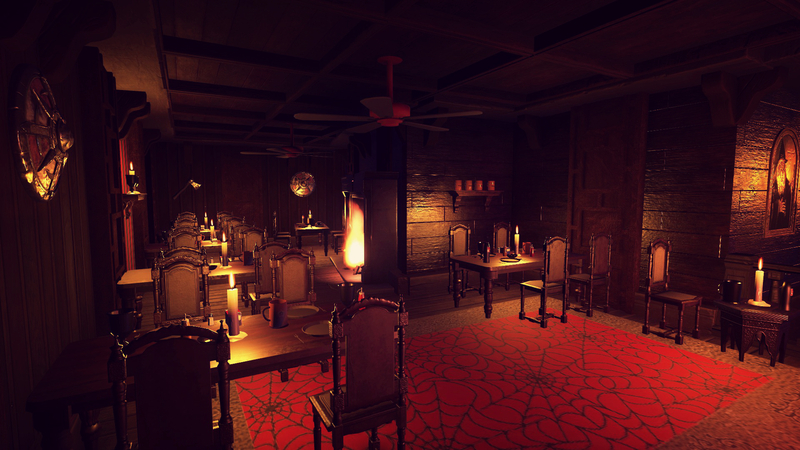 @shyguy: Thanks, yes it will be a huge e-ticket darkride with many effects. @zeroG: Thank you my friend. I am going to call you in the next days. Oh my! How does one pick a favorite when every screenshot is a masterpiece? But I'll try: The third pic is my favorite. Among many other things, I like how the column with the jester statue balances out the composition. Is this even Planet Coaster! 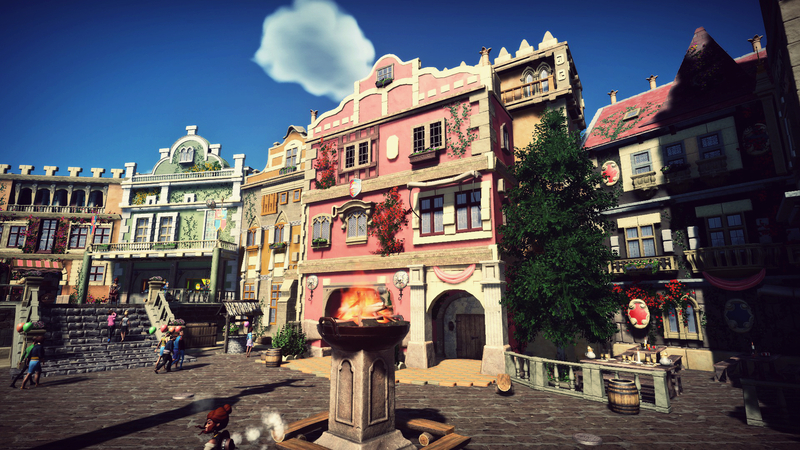 In Beauclair town square you can also visit the à la carte restaurant: Les Colimençarts. There are many delicious things. @JB: Thank you very much! @Redhair: Thank you as well! 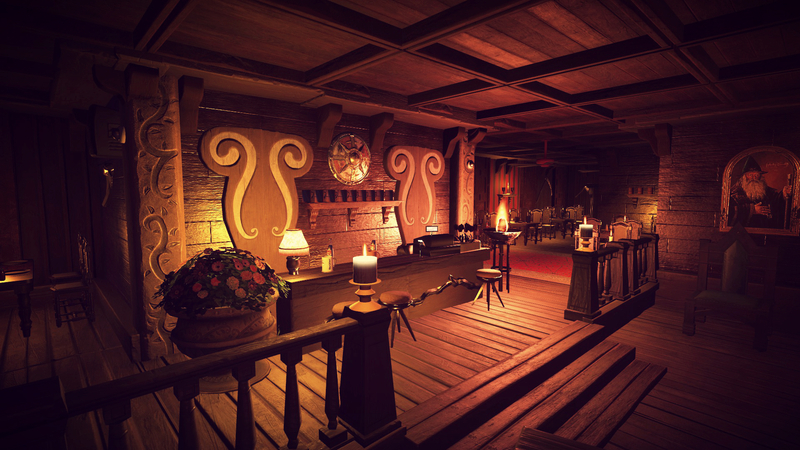 Such beautiful warm lighting. Les Colimençarts has a interesting look- inviting and elegant, but eerie. Love the interior of the new restaurant. It looks right out of the Witcher games. I have to admit that I was really freaking out when I saw the second update. I knew you are a out-standing creator but I have never imagined that you bring out such wonderful world. 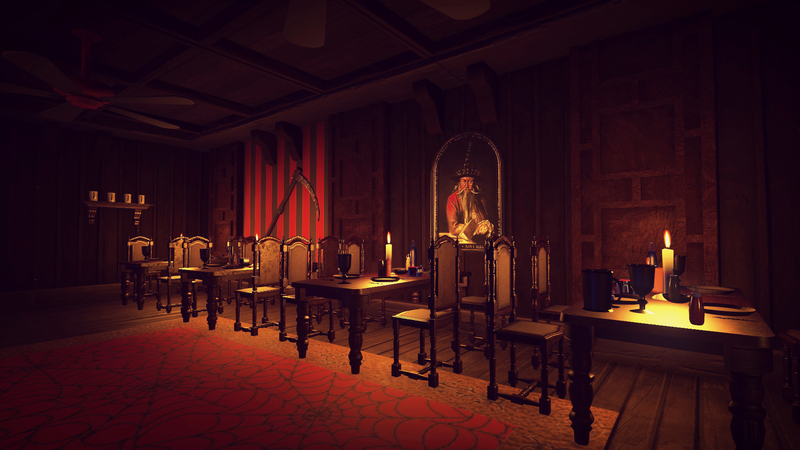 It´s been a long time you present some pictures that are not directly releated to the dark ride itself. The architecture, espacially the iconic clocktower, all the details on the architecture,the colors and the way you layouted everything is flawless and just so beautiful. I know there is coming more impressive stuff and I can´t wait for it.